On Wednesday, the Legislative Committee of the European Union narrowly voted to keep the two most controversial internet censorship and surveillance proposals in European history in the upcoming revision to the Copyright Directive -- as soon as July Fourth, the whole European Parliament could vote to make this the law of 28 EU member-states. 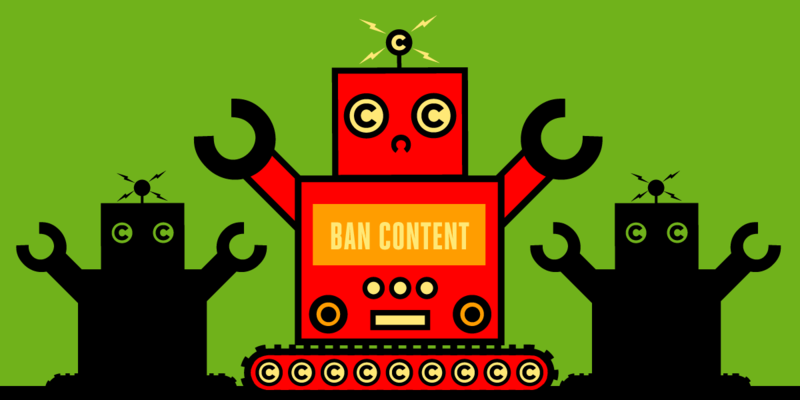 The two proposals were Article 11 (the link tax), which bans linking to news articles without paying for a license from each news-site you want to link to; and Article 13 (the copyright filters), requiring that everything that Europeans post be checked first for potential copyright infringements and censored if an algorithm decides that your expression might breach someone's copyright. These proposals were voted through even though experts agree that they will be catastrophic for free speech and competition, raising the table-stakes for new internet companies by hundreds of millions of euros, meaning that the US-based Big Tech giants will enjoy permanent rule over the European internet. Not only did the UN's special rapporteur on freedom of expression publicly condemn the proposal; so did more than 70 of the internet's leading luminaries, including the co-creators of the World Wide Web, Wikipedia, and TCP. We have mere days to head this off: the German Pirate Party has called for protests in Berlin this Sunday, June 24 at 11:45h outside European House Unter den Linden 78, 10117 Berlin. They'll march on the headquarters of Axel-Springer, a publisher that lobbied relentlessly for these proposals. If you use the Internet to communicate, organize, and educate it’s time to speak out. Show up, stand up, because the Internet needs you! Update:: The protests are spreading! Here's a list of more planned actions across the EU!